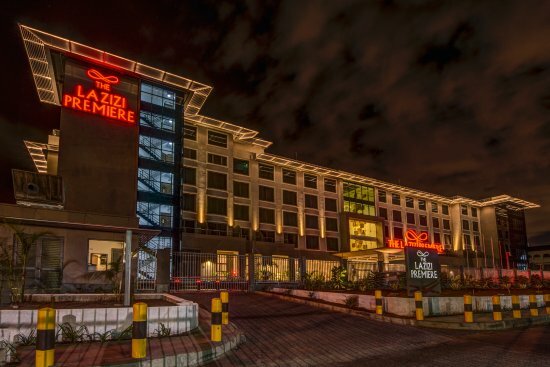 On arrival at Jomo Kenyatta international airport, you will got through customs and immigrations formalities and thereafter, you will be welcomed by an Abercrombie & Kent representative and transferred to Fairmont The Norfolk Hotel where you will be assisted to check in (check in not guaranteed before 1200 hrs). A Kenya VISA is required for entry. 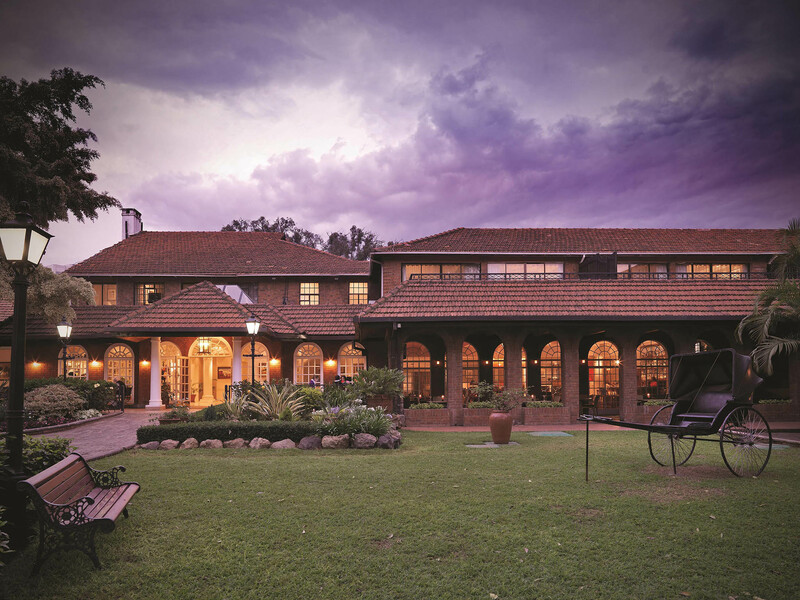 The Norfolk is Nairobi's grandest and oldest hotel. 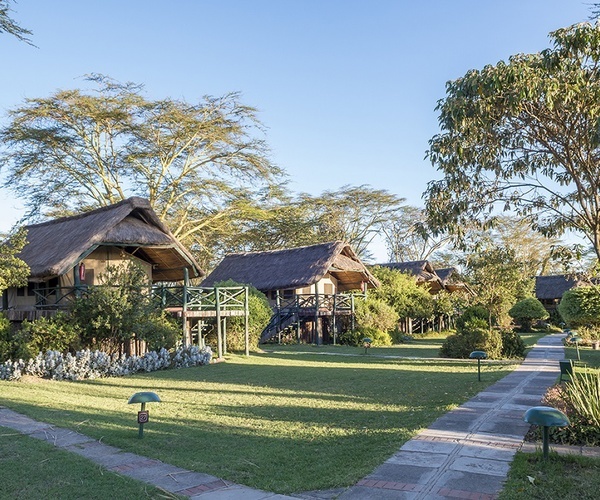 Set in mature gardens in the center of the city, it has been a meeting place and first port of call for generations of travelers to East Africa's spectacular game parks. Recently taken over by the Canadian Fairmont group, the Norfolk retains its century-old charm. The Norfolk has 165 rooms set around a central garden area, which despite being in the center of downtown Nairobi has a wide variety of bird life. Close to the National Theatre and the Central Business District, the Norfolk has all the amenities of an international hotel but retains an intimacy that others lack. All the rooms have en-suite bathrooms and satellite television. There is a choice of four restaurants at the hotel; they range from the grandest in Kenya to casual. All have very good food, as does the Delamere Terrace where city businessmen still meet for a drink after work and from where many a safari has set out in the hundred years since the Norfolk first opened its doors. Lunch and dinner under own arrangements. Check in and lunch at Serena Sweetwaters Camp. Sweetwaters is a luxurious tented camp on the 90,000 acre Ol Pejeta conservancy. Once the preserve of arms dealer Adnan Khashoggi – who used to land his 727 there – this is a millionaire’s playground that is now available to ordinary mortals. The game viewing at the conservancy is spectacular. Overlooked by Mount Kenya, the ranch has plenty of predators and elephants and some interesting extra treats. There is a chimpanzee sanctuary at Sweetwaters – the only one in Kenya. There are just 39 tents at Sweetwaters, all with en-suite bathrooms and views out over a waterhole. 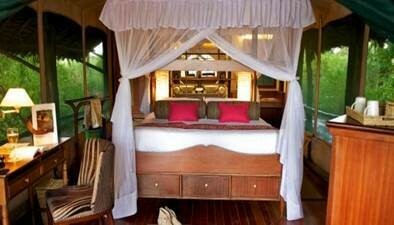 Decorated in tasteful safari style, they are properly luxurious without losing any of the under canvas experience. Since Ol Pejeta is a private conservancy, guests can do all sorts of extra activities, including bush walks and trekking with camels. There’s also a swimming pool and a treatment area where travelers can enjoy a wide variety of natural therapies and massages. Afternoon game drive. The 24,000 acre Sweetwaters Reserve is situated within the sprawling Ol Pejeta ranch with magnificent views across the plains to the peaks of Mount Kenya. A variety of plains game is found within the reserve and the big cats may also be seen. As Sweetwaters is a private reserve, it is possible for visitors to enjoy activities such as escorted bush walks, night game drives and camel riding. Orphaned rhino and warthog (one of which was the model for Pumba, from the movie the Lion King), which have been reared by hand, provide a wonderful treat for children, as does the chimpanzee sanctuary. The sanctuary homes chimps mainly from the Jane Goodall Institute in Burundi, where a great many were placed after being rescued. The sanctuary is a non-profit venture, which aims not only to cover the investment and operating costs of the sanctuary, but also to channel funds into the Jane Goodall Institute for conservation projects for chimpanzees in the wild throughout Africa. Dinner is included at the camp. Breakfast at the lodge and thereafter, proceed to Samburu Game Reserve (3 hours approximately). Perched on the banks of the Uaso Nyiro River in the arid wilderness of Samburu National Park, Samburu Intrepids has long been a popular base for exploring the ancient wilds of Kenya's Northern Frontier. The 27 tents proffer simple but luxurious accommodation, with large four-poster beds, modern bathrooms, and secluded balconies overlooking the riverbanks where elephant and buffalo regularly come to drink. The camp is also renowned for its inventive kitchens, which have replaced the standard camp buffets with wholesome al fresco dishes, homemade breads, preserves and desserts. Intrepids is run by a delightful Samburu crew who will introduce you to their wild world from a rich variety of perspectives: on foot, from a four-wheel-drive vehicle, on a river raft, or from the back of a tame camel. Afternoon game viewing drive. Dinner at the Camp. Spend full day in Amboseli with morning and afternoon game viewing drives. Samburu National Reserve in the dry country in the north of Kenya, described by Ludwig Ritter von Höhnel, an Austrian explorer who visited the area in the 1860s as 'teeming with game'. Undoubtedly why it became renowned as big game country for famous hunters such as Arthur Henry Neumann who set up camp in the spot where the Samburu Game Lodge now sits, on the banks of the Ewaso Nyiro River. The river takes its name from the local dialect meaning "River of Brown". It rises from glaciers on Mount Kenya and flows through the reserve on its journey north. The river provides the lifeblood of this harsh wilderness, without which the game would not survive. You'll see animals here that you won't see in the south: the impressive Beisa oryx which stand a meter at the shoulder and thrive because of a physiological ability to store water, the reticulated giraffe, the thin-striped Grevy's zebra and the gerenuk antelope with its improbably long neck. This is also lion country - the Samburu was home to George and Joy Adamson who raised Elsa and brought us Born Free. Samburu's remoteness means it has clung too much of its appeal of yesteryear, it feels as untamed as it looks. Together with neighboring Buffalo Springs and Shaba National Reserves, this area covers almost 1,000 square kilometers (386 square miles) of protected semi-desert land. It is the home of the Samburu tribe, cousins of the Masai, who share the same nomadic, cattle-herding existence and staunchly observe age-old rites and customs. Breakfast, lunch and dinner included at the camp. Full day at Mt. Kenya Safari Club with optional activities offered, some at extra costs. Breakfast, lunch and dinner included at the club. 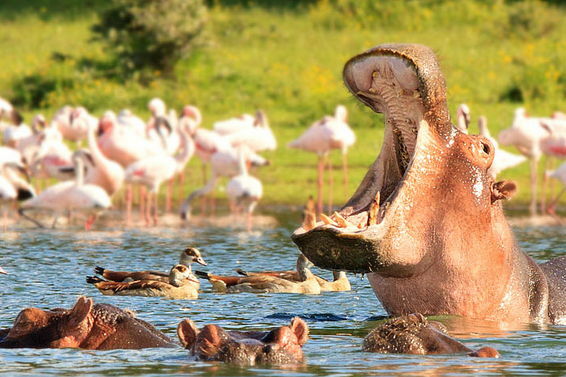 After a leisurely breakfast, proceed to Lake Naivasha (3 ½ hour approximately). Check in and lunch at Lake Naivasha Sopa Lodge. 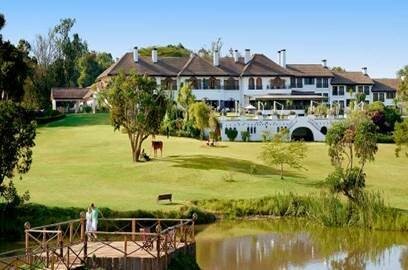 The Lake Naivasha Sopa Resort is set on the banks of Lake Naivasha, a magnificent fresh water lake fringed with clumps of papyrus. Lake Naivasha is the highest and one of the most beautiful of the lakes, which form the Great Rift Valley. It is surrounded by a series of volcanoes and calderas, most notably Mount Longonot, an extinct volcano. Lake Naivasha's name comes from the Maasai word En-aiposha meaning "heaving" or "to and fro" in reference to how turbulent the waters can get in the afternoons. The flying boats of the British Overseas Airways landed on Lake Naivasha on their epic journey from Britain to South Africa via the Nile River, Lake Victoria and Lake Malawi. This lake region was one of the first places to be settled by the colonials arriving after the First World War and subsequently it became home to many of the famed "Happy Valley Set" in the 1920's and 30's and indeed Lord Errol lived for a while in the Djinn Palace on the North Shore. 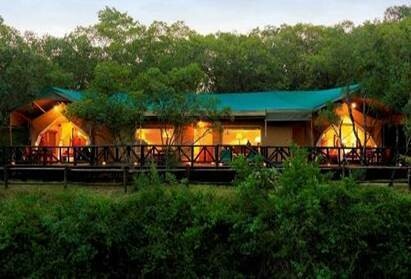 The Lodge has 42 twin rooms with solariums and 42 double rooms with open-air verandahs. Lake Naivasha is an ornithologist's paradise, as well as having excellent fishing, with tilapia and black bass first introduced by the early settlers. This is the perfect place to relax, walk with a guide or just sit under a canopy of mature shady Yellow Fever trees and listen to the sound of hippos and view the rich bird life. The evenings can be spent in the solitude of your private verandah listening to the sounds of the African night. Afternoon depart for a visit to Hell’s Gate National Park and enjoy an afternoon swimming at Ol Karia Natural Spa located inside the park. Perched on the brow of the steep banks of the Mara River, in the Ol-Choro Oiroua Conservation Area, the Mara Safari Club offers a luxurious retreat on the edge of the world's greatest wilderness. With its grand dining rooms, spacious pool terrace, and varied nightly entertainment, the club is more of a luxury hotel than a tented safari camp - although, upon returning to your tent, you are immediately transported back into the African wilds. The 50 tents feature four-poster beds, electric lights, and modern en -suite bathrooms, as well as dramatic views over the rushing brown waters below. The club's location outside the national park means that guests can enjoy walking safaris on the game-filled plains, as well as breakfasts and sundowners in the bush. Afternoon game viewing drive. The Maasai Mara plays host to the most spectacular array of wildlife. 1,500 square kilometers (580 square miles) of broad biscuit-colored savannah sprawls as home to huge numbers of birds (almost 600 species) and animals and is adjacent to the enormous expanse of the Serenegeti; the two make up the most diverse ecosystem on the continent. The word 'mara' comes from the local dialect, Maa, as spoken by the Maasai and means 'spotted'; certainly the vast grasslands here are dotted by the shadows of small clouds which scud across a huge sky above. Every year this special place witnesses the most incredible animal phenomenon on the planet - the wildebeest migration. The mass of plains game moving north from the Serengeti in search of fresh pasture returning south around October, a heaving line of grunting, snorting life that stretches for miles. At the Mara River they mass together nervously on the banks before plunging onwards; their pursuit of food overwhelming their fear of the crocodiles that lie in wait for the annual feast. This incredible spectacle involves the movement of over a million wildebeest and their fellow travelers, half a million Thomson's gazelle, half a million zebra as well as smaller herds of topi and eland all operating on the principle of safety in numbers. They are followed, inevitably, by predators, primarily lions and hyena. Dinner at the camp. 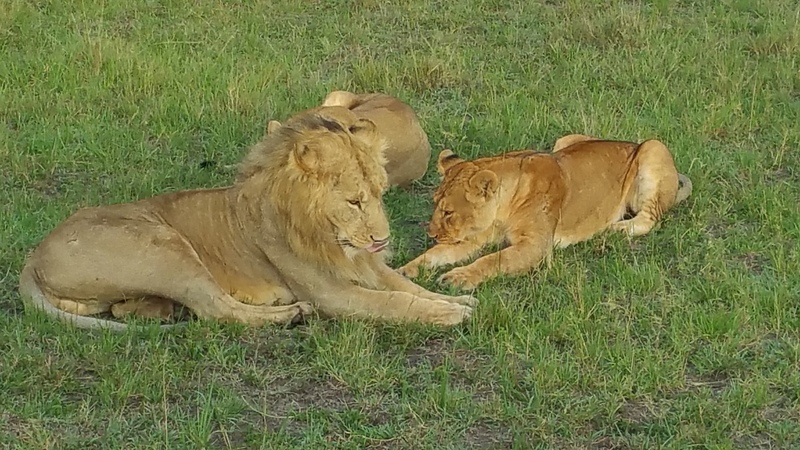 Lion are found in abundance throughout the park as are elephant, giraffe, a variety of gazelle species and zebra. Cheetah and leopard are also regularly seen and, if lucky, you may also find rhino. Game viewing is never dull in the Mara, and patience is often rewarded with unique sightings: a pride of lion stalking their prey; a solitary leopard retrieving its kill from the high branches of an acacia tree; male wildebeest sparring to attract females into their harem; or even a herd of elephant protecting their young from opportunistic predators. The annual wildebeest migration traditionally is present in the Mara from July-September and at this time nature's dramas unfold before your very eyes at every turn. As well as wildlife, the Masai Mara is also home to many members of the colorful Masai tribe who may be seen around the borders of the park - morans (warriors) loping across the plains, young boys herding goats, or elders grouped under a tree discussing matters of the day. Breakfast, lunch and dinner at the lodge. After breakfast, road transfer to Nairobi (6 hours approximately). On arrival, transferred to Tamambo Karen Blixen restaurant for farewell lunch. Day rooms at The Lazizi Premier Hotel until 6:00pm. Later in the evening, meet with your Abercrombie & Kent Representative at the hotel lobby for your departure transfer to the airport for your departure flight. All advertised events are exclusive to guests who book through Aquafest only. All rates are land only and per person, based on double occupancy subject to availability at time of booking. Non-discountable fees and taxes, airfare, air taxes and transfers are additional. A $30 processing fee is addition and subject to change without notice. Events based on a minimum of 5 group passengers. Pricing and other information may change without notice. We reserve the right to correct errors. Information and pricing are subject to change without notice. All cancellations are subject to a $50 per booking cancellation fee from Aquafest in addition to any Aquafest or vendor cancellation penalties. Trip Cancellation Insurance is required for all reservations. More information will be provided to you at the time of booking confirmation. Please contact us for a more detailed description of restrictions, cancellations, and penalties.